We’re gearing up for summer vacation where I live and that’s got me thinking about transitions. Any time things change – think the end of the school year, going on vacation, having visitors, even family circumstances like moving or changes in employment – you and your child will be facing a transition. In addition, some children need an even higher level of support, such as managing everyday transitions from one activity to the next. No matter the magnitude of transition, the strategies for supporting your child are all the same. I’ve summarized my top tips in the short video below, including a super grounding art therapy activity. Enjoy! Minimize triggers, maximize comfort: Keep routines, create predictability, make sure your child’s basic needs are met for sleep, nourishment, and hydration. Enlist your child: ask him what he wants things to look like during the transition, build anticipation for what you are looking forward to once the the transition has been made. Have clearly established proactive and reactive strategies in place for supporting and responding to challenging behaviors – see this article for more ideas. Assess your own level of need and develop a plan for how you will start to meet those needs right now. Mamas, you might find this ebook helpful. Know your own triggers and hidden beliefs. Give yourself time and space to feel what this transition is bringing up for you. Be gentle with yourself as you find the support you need. It’s way too easy to take our own frustrations and fears out on our children; a little self-awareness might make all the difference between transition disaster or success. Nature baskets are a simple and super effective art therapy tool to use anytime you need to support the skill of pausing. Have your child gather a few items from outside into a small bowl, basket or plate. Nothing fancy but you do want the items held in a safe space. If getting outside isn’t an option consider gathering items with different textures, a range of colors (rainbow basket!! ), or even a small collection of something special to your child. If you notice agitation rising, direct your child to explore the basket. You may notice that she simply touches each item and has a sensory experience. Or, he may feel inspired to organize, sort, or create. 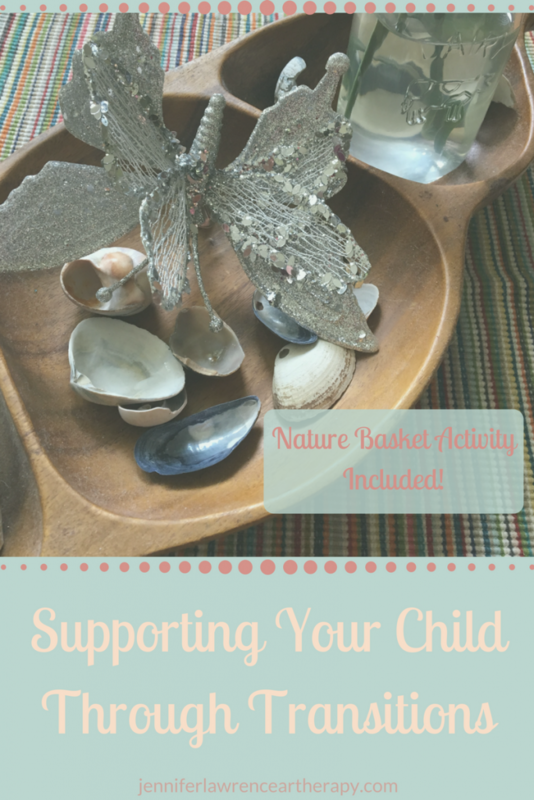 Use your basket as a holding space for things your child is anticipating or looking forward to after the transition. Ask your child to arrange the items in a place where the family will be gathering as a whole, such as the dining table. 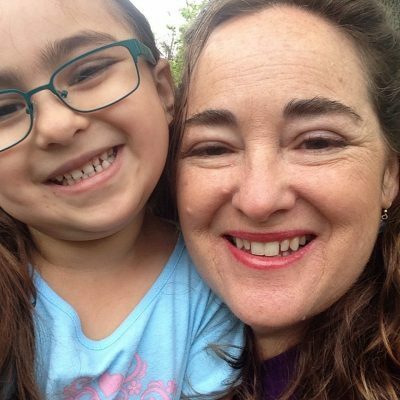 What’s happening: your child is bring his awareness into the here-and-now, slowing down and organizing any agitated energy, and communicating to her nervous system that she is safe aka no need for a fight-or-flight response. Transitions are a part of life. With a little self-awareness and preparation you’ll be able to teach your child how to manage transitions smoothly and with greater ease.